Ole Miss QB Shea Patterson transferring to Michigan! Michigan insiders reporting that Ole Miss QB Shea Patterson is interested in transferring to Michigan. Ole Miss got hammered with sanctions and guys are looking to jump ship. Patterson was a 5-star QB and ranked #3 overall in the 2016 class. Can't have enough 5 star guys, especially at QB. How has he been doing at Ole Miss? I’m not familiar with him. 17 touchdowns 2,259 yards. Had a 151 rating and 63% completion percentage. Shea Patterson has permission to pursue transfer from Ole Miss. No SEC schools or teams on Ole Miss' schedule in next 2 years. Does anyone know how his knee is doing? His season ended about 6 weeks ago in a loss to LSU. Not a big fan of re-treads, pass. At the time, Patterson led the SEC in passing. #1 Pro style QB coming out of high school. Absolutely bring him on board. Yes his knee is a concern but since he would have to sit out the '18 season anyway he will have plenty of time to get back to 100%. Thought I read where the NCAA is looking at the underclass players at Ole Miss on a case to case basis to waive the sit out season. Why would he transferred to Michigan knowing the competition he would face with Peters and McCaffrey in Milton? watched his highlights from Ole Miss.... am I missing something? I mean the mobility is a nice thing, but I see nothing that makes me go "please come here!" Is Miss. oline/team that bad? He was running for his life in all the videos, and he definitely just slings the ball all over. Ole Miss really doesn't run a pro style offense, which makes it harder to understand why he went there, so maybe part of the trouble is he was ill-fitted for the scheme they were running. Or maybe they were trying to shift to pro style without the right personnel. Now that’s just flat out wrong. There is no way that envelope had less than $20K in it. LOL! I was going to say did he really have to ask why he went to Ole Miss? Shouldn't the fact that they are facing these sanctions answer that question? Tarik Black changing his number from #7 to #3. Side note - Shea Patterson wears #7. I thought Patterson wore #20?? 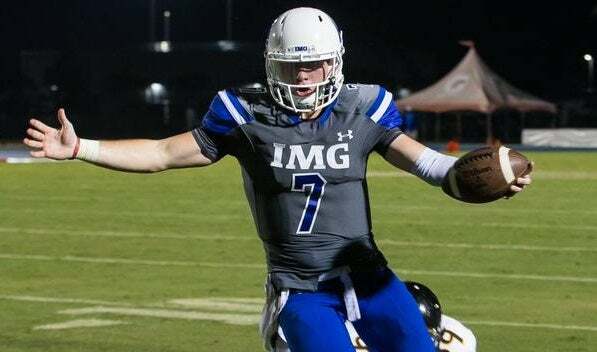 Looks like he wore #7 at IMG. I'm hearing the #2 safety in the 2016 class (Deontay Anderson) from 'Ol Miss had breakfast with Harbaugh this week? Any truth to this? Patterson isn’t expected to visit AA alone...he’s coming with their starting safety and another WR. The safety had a Mich offer (along with 42 others - Bama, OSU, Georgia, etc...ha) and it was a surprise he went to Ole Miss. 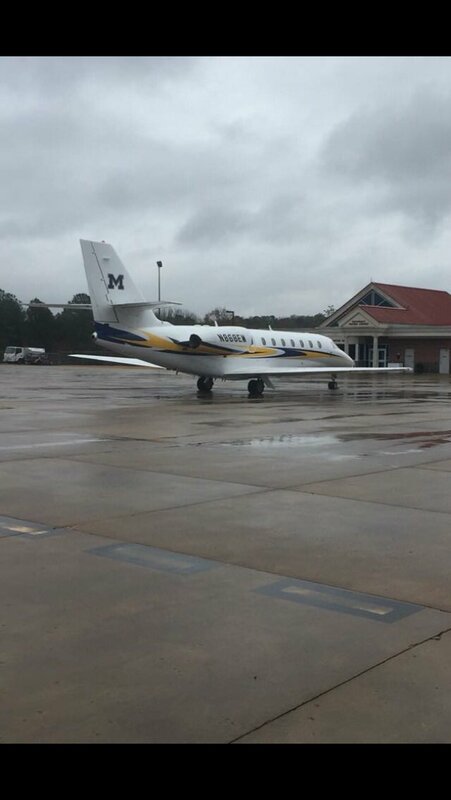 From Oxford, MS. Go Blue! I Hear there is going to be 3 Ole Miss Rebels in town this weekend. Patterson, Anderson, and Jefferson? What about Greg Little? I heard he may also be leaving, but not sure if there's any interest from either side? Seems like we could sure use his services! Milton probably sees himself coming in as part of a championship continuum, now. Beware the lofty expectations this early. Reports are saying that as many as 7 Rebel starters are looking to Ann Arbor. The implications for an already promising 2018 season would be huge. The expectations might even be overwhelming. Be happy with what the team depth chart would look like. This would be a team that, on paper, would be built to compete with SEC top dogs in the post-season. Of course, we should expect getting over a certain late-November hump. I'm not sure if I like this de facto new M.O. concerning player personnel, but perhaps the days of exclusively nurturing your own talent on-campus for four years are over. At least Michigan is not going the JUCO transfer route...yet. At the risk of being the biggest square, would anyone be concerned to accept transfers from a bunch of kids who presumably were given cash to sign with Ole Miss? I’m not a fan of the dirty side of college athletics, and I do believe that there are many programs that go above and beyond to do things the right way. That said, I also believe that regardless of program, there are benefits awarded to some student athletes, aside from an education, that fall into a gray area. Back to the question about accepting kids to transfer in who may have knowingly accepted benefits to go to a specific school. Do I like the idea? No. If any player has done so, I would simply like to avoid the potential of that being brought into the Michigan program, for fear of anything like that ever happening here. Probably not the most popular view, but I respect and appreciate the idea that Michigan football strives to meet the highest standards possible. And yes, I understand that competing for National Championships, while doing things the right way, is pretty difficult, if not outright impossible. Here's a nice, short, read on the situation.